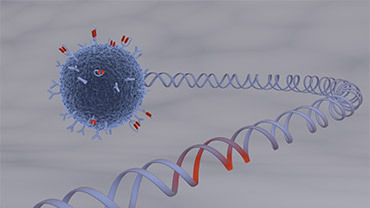 Chimeric antigen receptors (CARs) are specifically tailored surface receptors that can be introduced into cells of the immune system, especially T-cells, by genetic engineering. Cochin Institute is leading activities relating to the monitoring of cells in tissue slices. an EU-funded collaborative research project involving 8 partners from 4 different European countries (France, Germany, Italy & United Kingdom). is to develop an efficient and safe technology platform for advanced cellular therapies, namely to manufacture CAR T-cell products for personalized treatment of cancer patients. of CAR-based therapies have raised enormous expectations to cure severely ill patients: CARs were introduced into cells of the immune system, typically T-cells, by genetic engineering. demonstrated considerable evidence that these artificial recognition molecules allow specific targeting of immune responses towards complete and stable eradication of cancer cells. 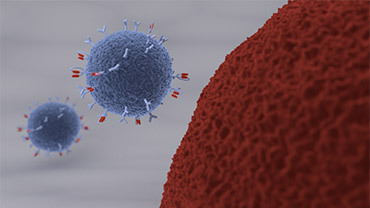 of such advanced therapeutic concepts is extremely difficult as the manufacture of CAR-modified T-cells is technologically complex and expensive. will thus enable the automated, safe, and cost efficient manufacture of more effective CAR-modified T-cells. Thereby, CARAT will spread the clinical use of CAR T-cell technologies with the ultimate goal of serving patients with so far incurable hematologic malignancies and solid tumours like colon, pancreas or lung cancer – everywhere in Europe. The CARAT consortium comprises a multi-national team of leading experts from eight European partnering institutions. Recent success stories of cancer therapy with CAR-modified T-cells have raised enormous scientific and public expectations to cure severely ill patients.